Our first project is a community center in the rural village of Apirede in the Greater Accra region outside Ghana's capital. 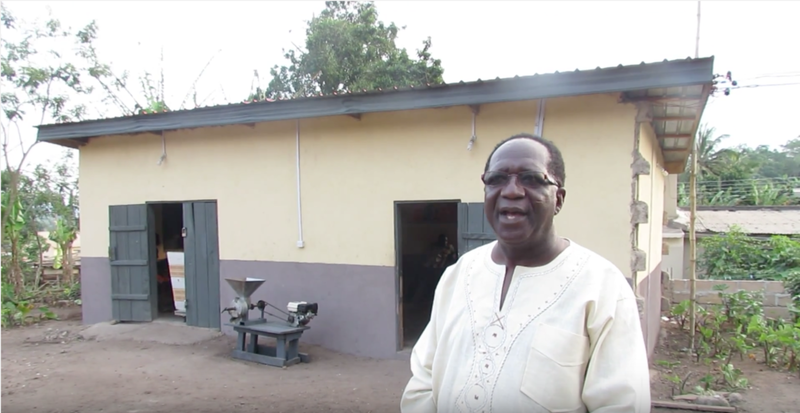 Phase one of the project is complete and the villagers have a new corn mill where they can turn their maize into cornmeal for cooking purposes. The 100' x 100' site is just off the main road and began as a dense patch of jungle on a sloping grade. The land was cleared and local masons and carpenters built the corn mill. Locally manufactured mud bricks were set on a concrete slab to make a simple hut in the vernacular style to house the diesel generator, corn grinder, and engine. 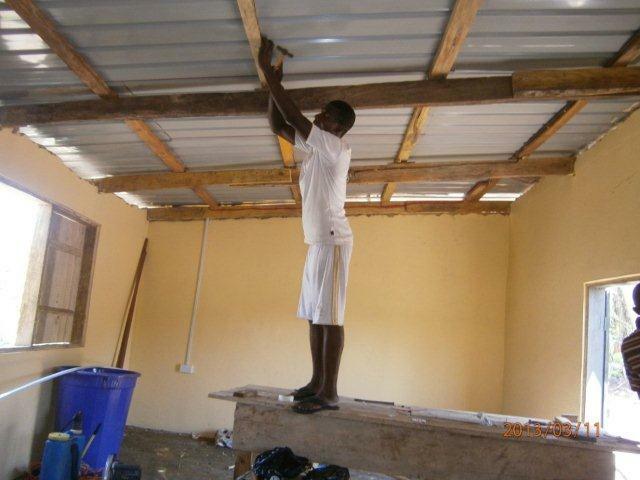 Our first building began construction in January 2013 and was fully operational a few months later in May. Today, villagers make daily trips to the corn mill to process their homegrown maize and socialize in the evening around one of the village's few televisions. The second phase of our Apirede project will include a general store, carpentry shop, public restrooms, and a small retail space. The new buildings will be 15' wide and built in the same low, mud brick style as the corn mill. The new construction will be located on the site perimeter, allowing for a large, central public space where residents can gather for daily market or recreational activities. The general store will employ local youth and provide local villagers with goods imported from nearby larger cities of Akropong and Somanya. 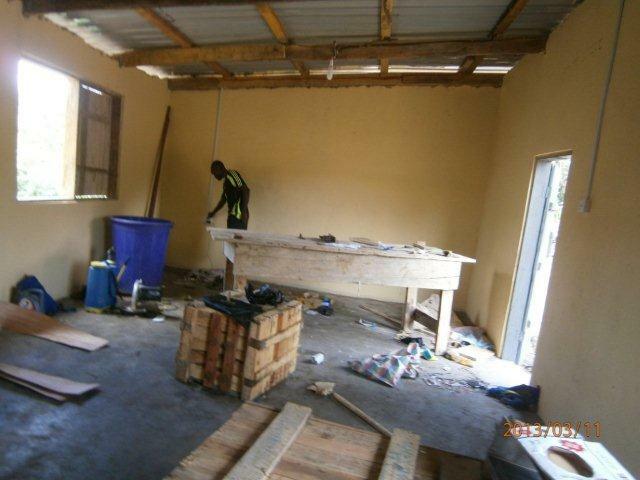 Our client's nephew, and local ground operations manager, studied carpentry at school and will use the proposed carpentry shop to produce local furniture and cabinetry for local sale and export to surrounding villages. The carpentry shop will also offer skills training programs for youth creating opportunities for creativity and entrepreneurship. Public restrooms are largely absent from Apirede and the facilities to be constructed in phase two will include a rooftop rain collection tank to supply running water for sanitary use. The final addition to phase two will be a retail space located at the front of the site nearest the road. No clear program or current tenant has been secured for the future retail space, but it is our hope that an enterprising local individual will utilize the space to start their own small business. 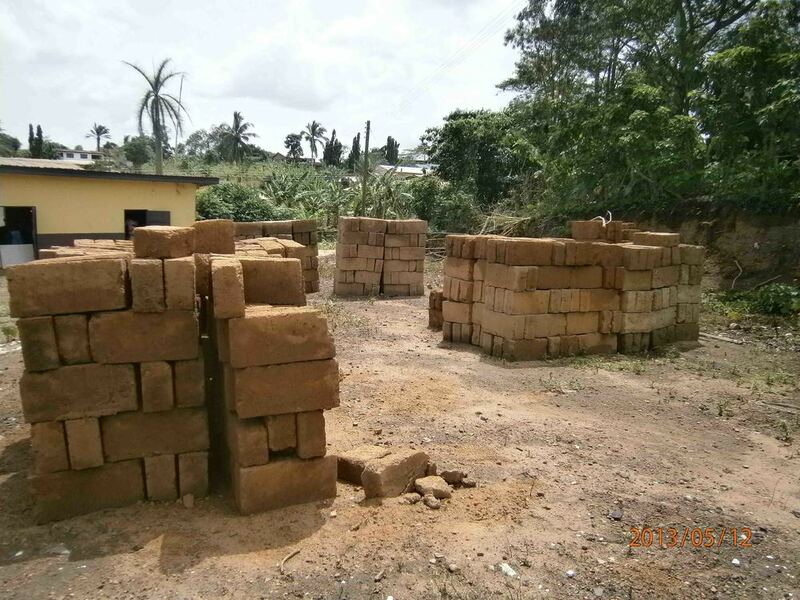 We have already begun to use some of the profits from the phase one corn mill to start producing additional mud brick blocks for construction. The remaining construction and material costs will be covered by Building Roots Project public fundraising. Please donate to help us achieve our fundraising goals and make phase two a reality.